Since graduating from the Royal College of Art, with a Masters in Fashion Design, David Emanuel has established himself as a couturier of International repute; designing clothes for members of British and European Royal Families and for some of the World’s most beautiful women. Madonna; H.R.H. The Princess Royal; Mrs Michael Caine; Joan Collins; Faye Dunaway; Jane Seymour; H.R.H. The Duchess of Kent; Lady Lloyd Webber; Ivana Trump and the ‘late’ Dame Elizabeth Taylor, to name but a few…. 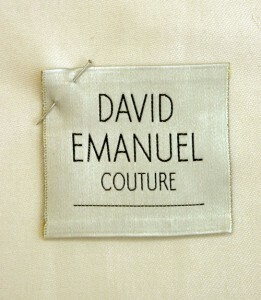 1990 saw the launch of his solo career and label, ‘David Emanuel Couture’, based at his suite in The Lanesborough Hotel, Knightsbridge, London. 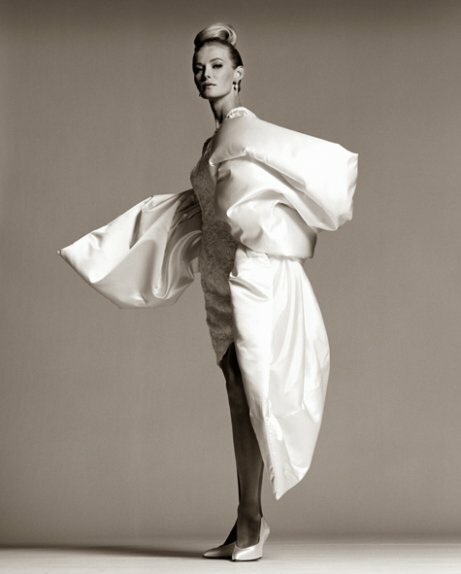 Emanuel offers a truly personal design service, starting with a sketch through to the creation of a garment, unique to each and every client. He also offers his clients hats, gloves, jewellery and shoes to order, to complete the look and if necessary calls in hair and make-up artists. His signature style is low-key understated chic, with a touch of glamour; perfect for cocktail dresses, evening wear and bridal gowns, which grace social events throughout the world, from Buckingham Palace to the White House. For the seriously social globe trotter, who requires a unique and truly discreet service, they will have confidence in knowing their impeccably made ensemble will be delivered wherever they are. Both regular clients Joan Collins and Jane Seymour recently asked Emanuel to design them from top-to-toe to meet H.M. Queen Elizabeth to receive their O.B.E. awards at Buckingham Palace. Mr. Emanuel sees private clients strictly by appointment only. Mr. Emanuel is also available to consult on personal wardrobes and purchases, on a strictly limited basis.